Illustrations for MARCA. 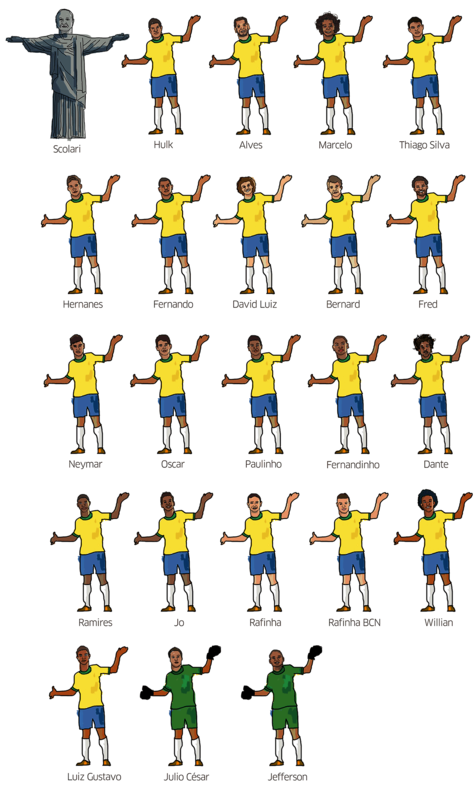 During 2014 Worldcup i was asked to make the illustrations of the Brazil national team for a huge infographic and poster. Later you can check the infographic in the MARCA.com website.